A 10% Ad-hoc Relief Allowance to Civil and Armed Forces Employees with effect from 1 July 2018. A 10% increase is also being proposed for Pensioners across the board. Housing is a serious problem for government employees in major cities. House rent ceiling is being increased by 50% on existing rates. Similarly, House Rent Allowance is also being increased by 50% on existing rates. Family Pension would also get increased from Rs.4,500 to Rs.7,500. 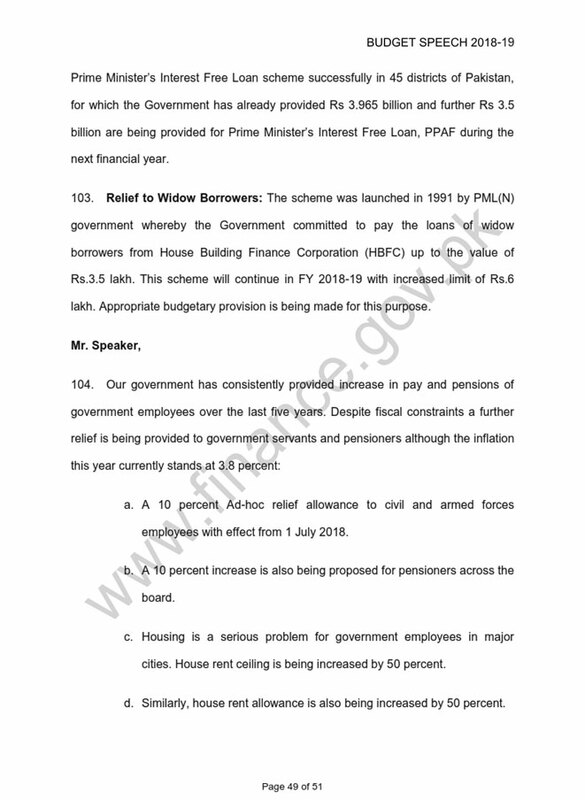 Minimum Pension of Pensioners above the age of 75 will be Rs.15,000. 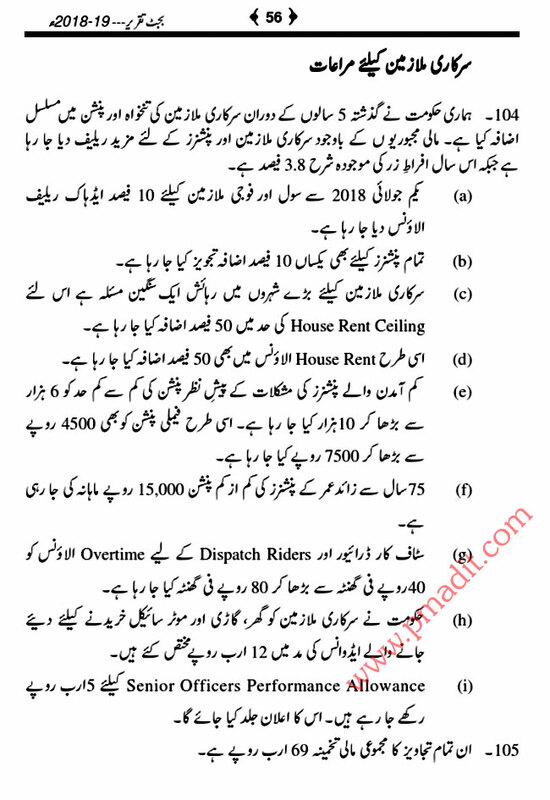 Overtime Allowance of staff car drivers and dispatch riders is being increased from Rs.40 per hour to Rs.80 per hour. House Building Advance (HBA) & Motor Car Advance (MCA) etc. The government has also proposed an allocation of Rs.12 billion for provision of advances to government servants for house-building and purchase of transport facility. The government is also setting aside an allocation of Rs.5 billion for Senior Officers Performance Allowance. Details of this will be announced separately.